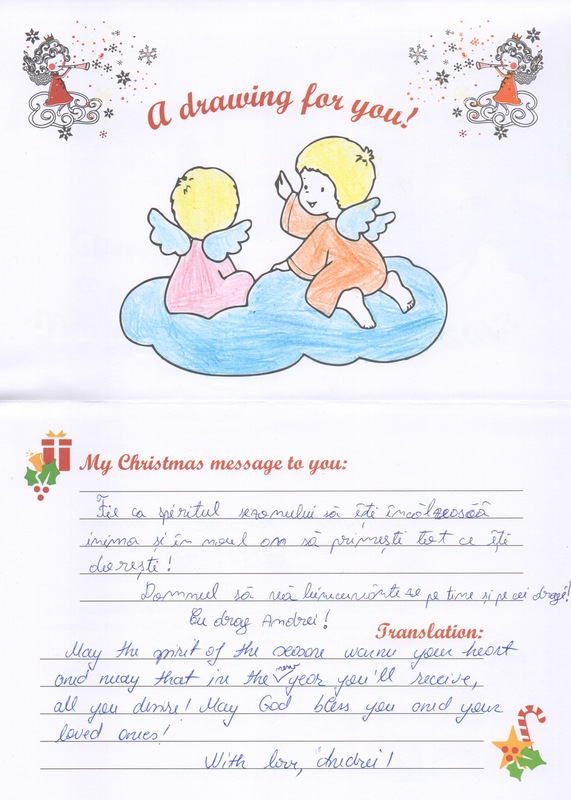 This week, I received Christmas cards from two of my World Vision sponsored boys in Romania, Cristian and Andrei. 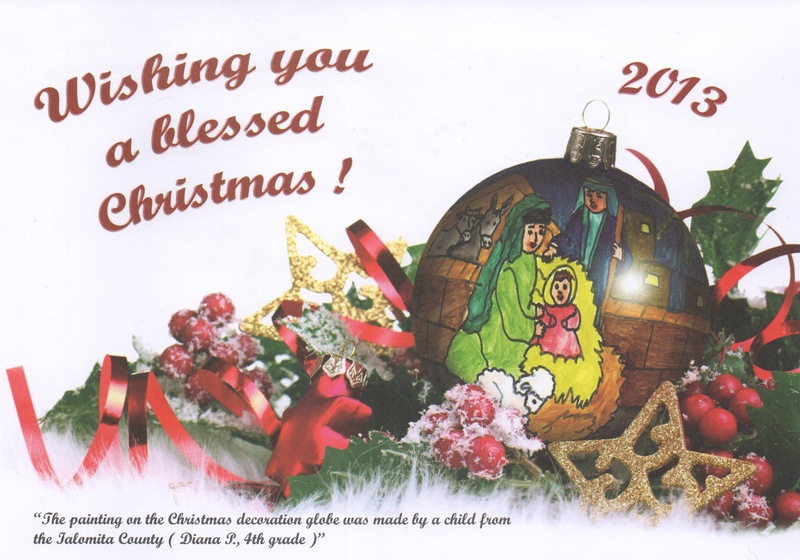 Each country has its own style of card, which the children send to their sponsors every year. Below are photos of both the front and inside of this year’s card from Andrei, and also the front of last year’s card from Cristian. 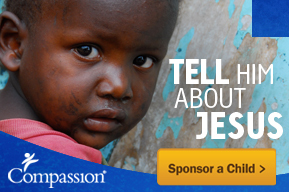 This entry was posted in World Vision and tagged card, Christmas, Romania, sponsor, sponsorship, World Vision. What fun cards!!! Mail from our kids is always fun!! 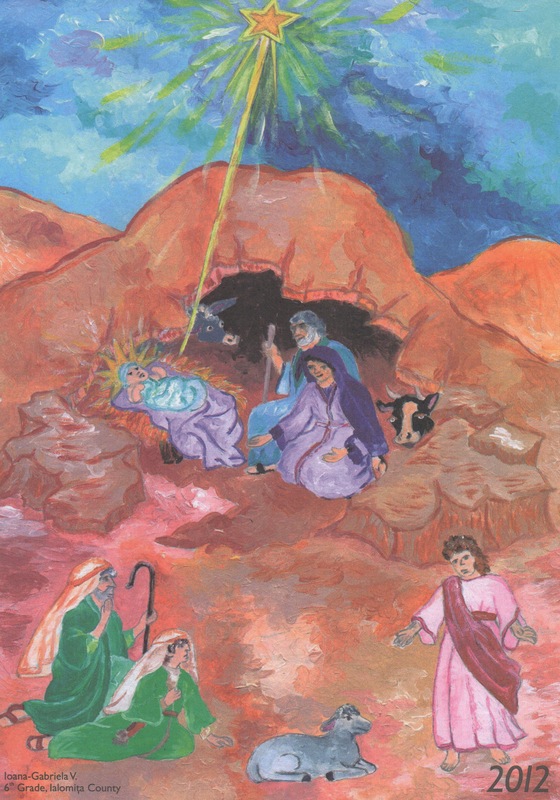 Yes, I love getting mail from the kids, and the drawings on the World Vision Christmas cards are always beautiful!